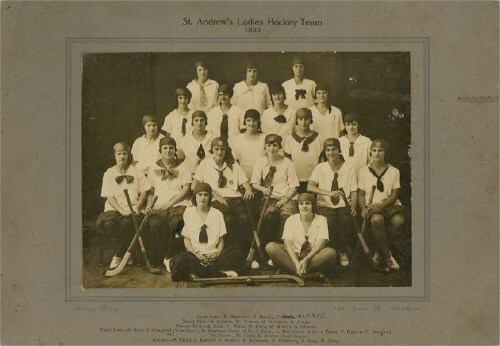 St Andrews Ladies Hockey was formed in 1923 and is the oldest existing women’s club in Brisbane, predating the establishment of the Brisbane Women’s Hockey Association. Our junior club was formed in 1986 through the hard work and perseverance of our Life Member Barbara Northcott. With the help of a few dedicated senior club members and parents over the last 23 years, our junior club is now very strong. Over the last 88 years, St Andrews Ladies Hockey Club have been fortunate to have had many State and National representatives in playing, coaching and umpiring. A number of our members have held positions on BWHA Management and hold Life Memberships with this Association as well has holding Life Memberships with St Andrews Ladies Hockey Club. We are proud of our history and the longevity of our club is a testament to the hard work and dedication of our many loyal members. In 2018, St Andrews Ladies Hockey Club fielded 6 Senior teams; 3 turf teams and 3 grass teams. We also had 12 junior teams – 4 junior turf teams and 8 junior grass teams ranging from under 7s to Junior Turf. We have a strong member and parent support base and quality coaches. As a player of St Andrews Ladies Hockey Club you are offered a place to learn and strive for your personal best, the opportunity to make friends and enjoy playing a sport that can last a lifetime.